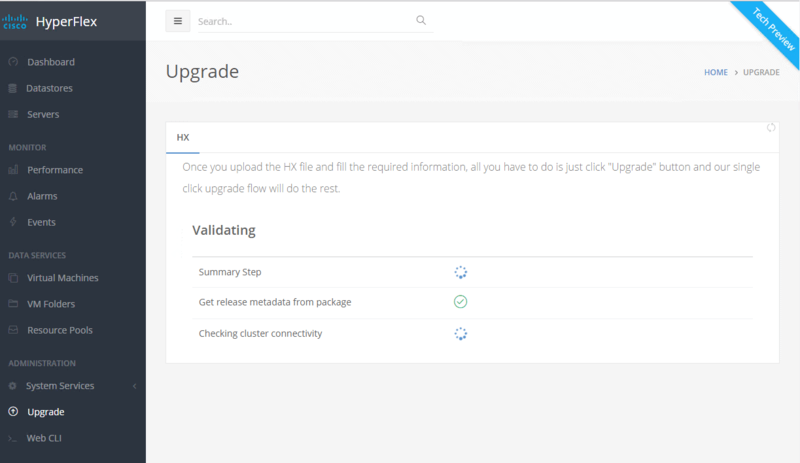 Everybody can upgrade a Hyperflex cluster ! 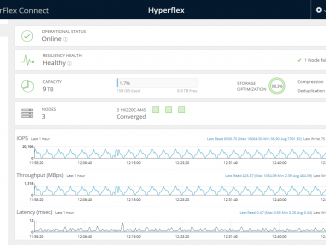 To have the Hyperflex All Flash working, you will need the Hyperflex 2.0 Data platform. 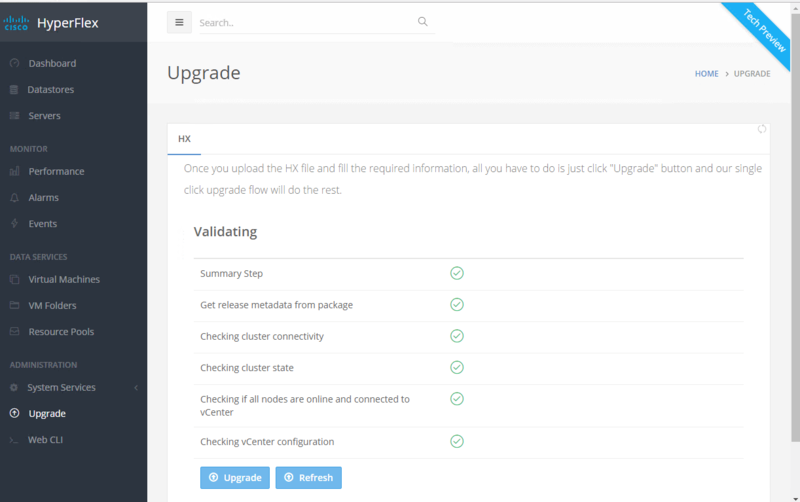 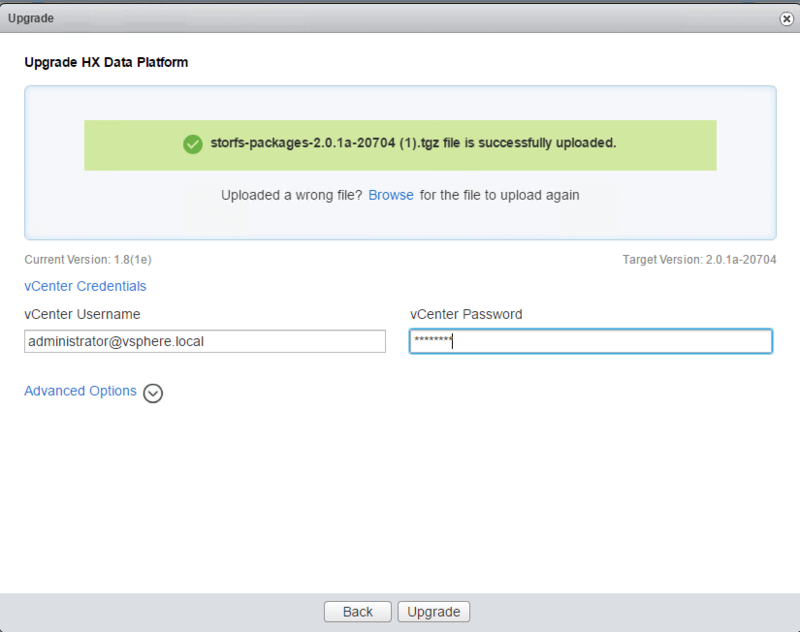 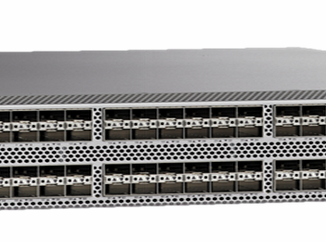 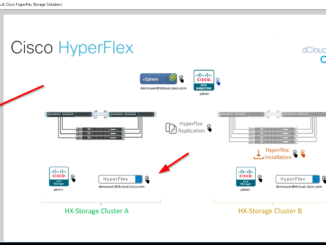 With a hybrid solution (Hyperflex with the 10k spinning disks) you can also upgrade to the 2.0 version. 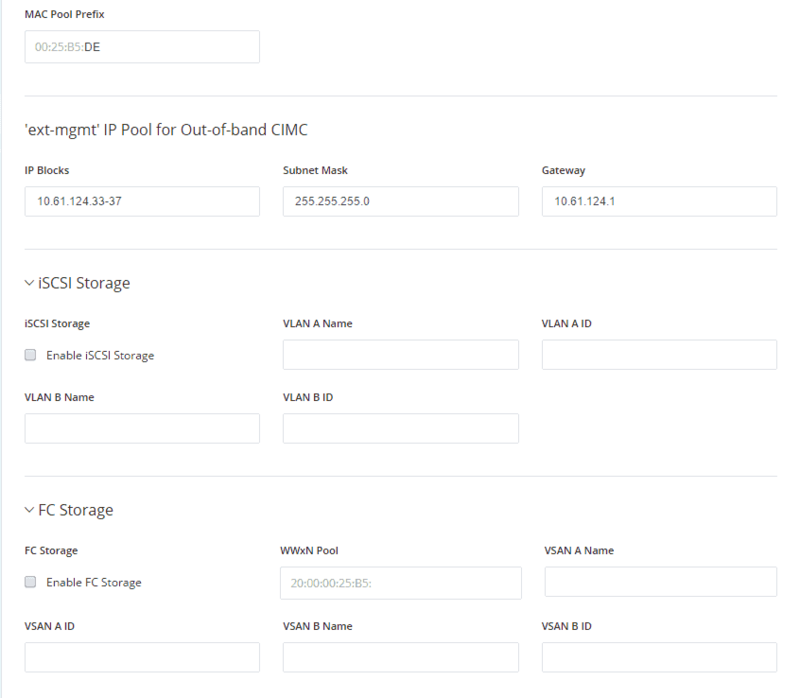 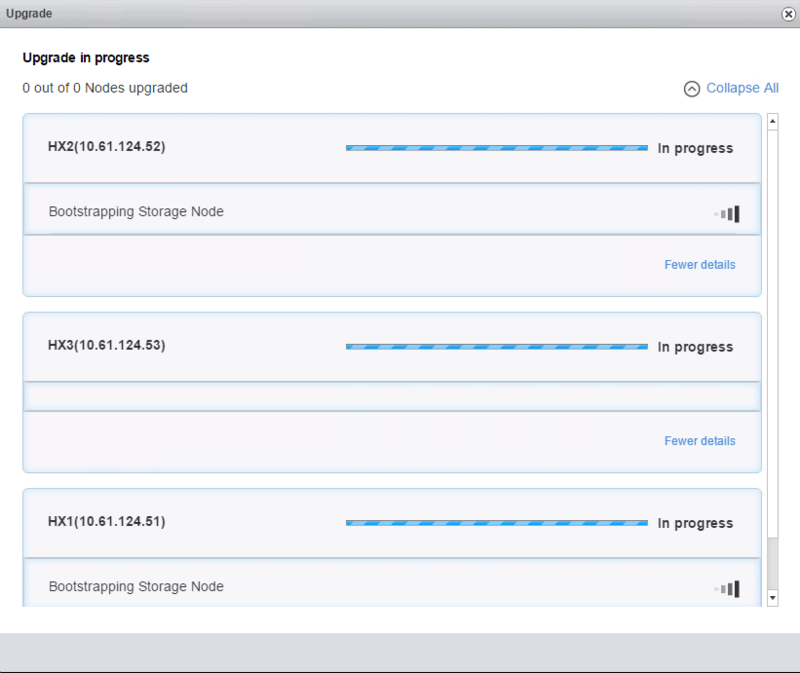 During the installation you can configure FC and iSCSI connections ! 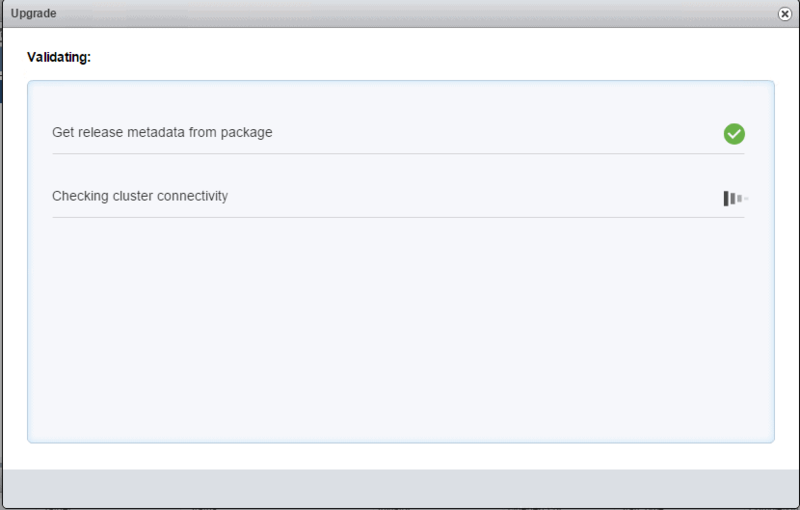 Turn on the locator leds during installation. 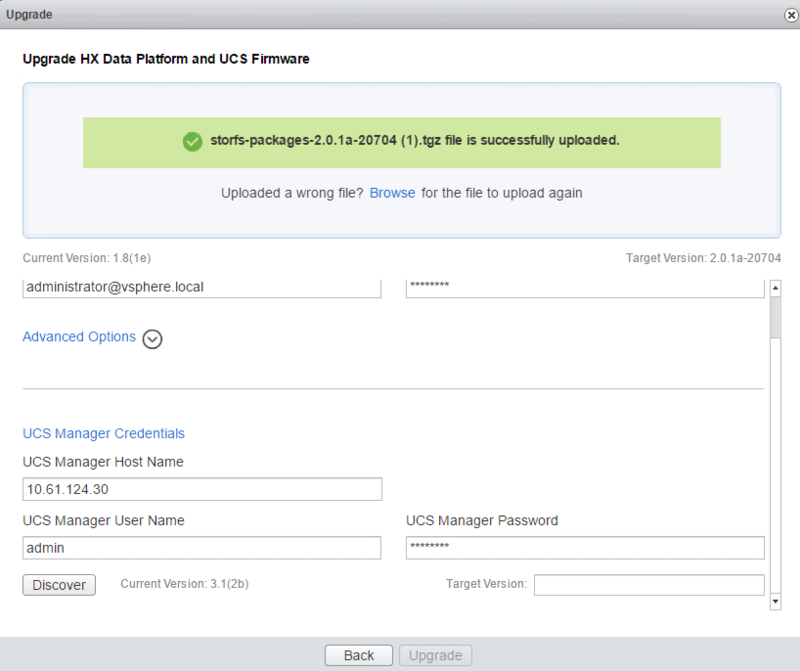 Fill in some credentials of vCenter and then the upgrade will start. 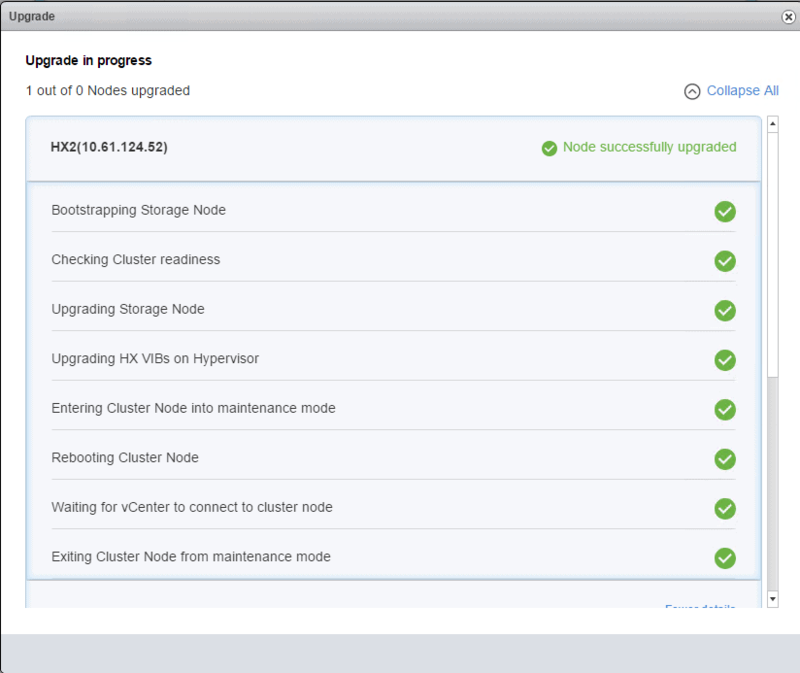 After about 50 minutes the whole cluster was Healthy and totally up and running again with the new software installed on it. 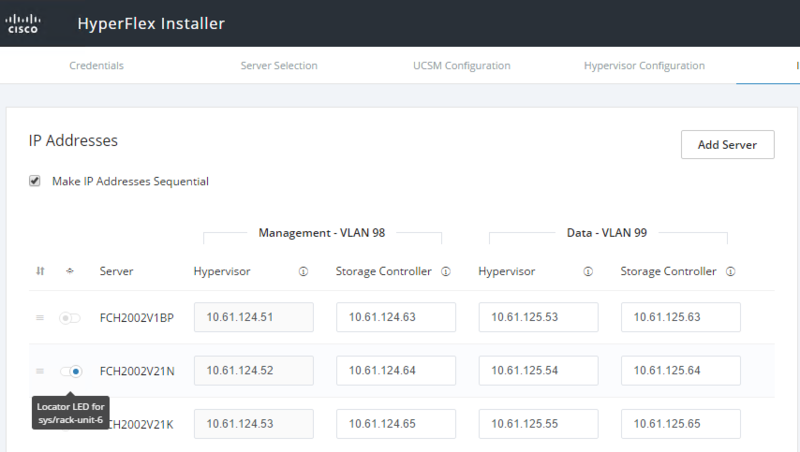 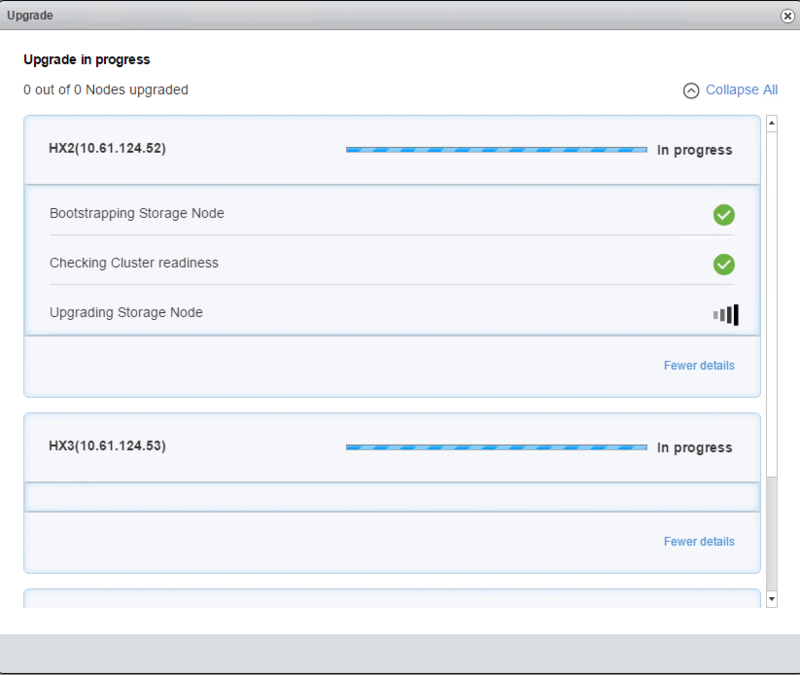 It’s possible to upgrade the system also via the UI page of the Hyperflex Cluster.